It’s no secret that Barcelona is home to some truly remarkable architecture. 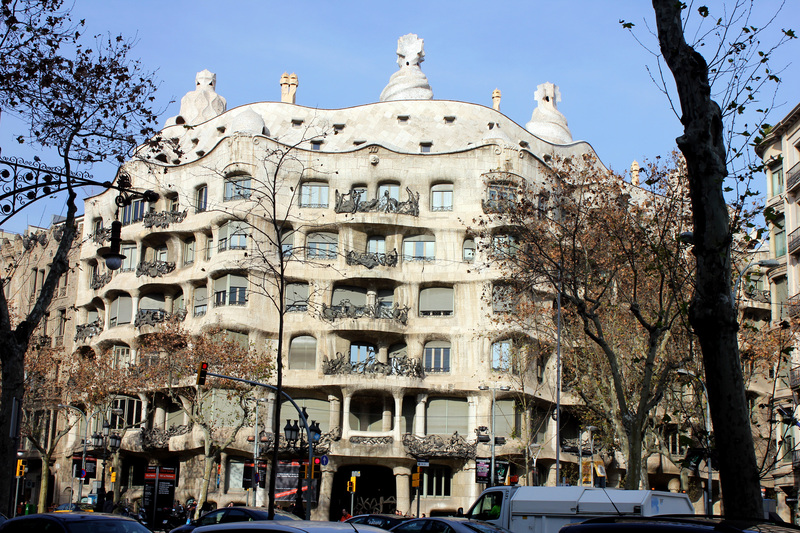 Barcelona was the birthplace of the Catalan Modernisme movement, and when it comes to Modernista architecture, one name always comes to mind: Antoni Gaudí. Much of Gaudí’s work can be seen throughout the city, the most famous of course being La Sagrada Familia. Construction on this massive basilica began in 1882, and it still continues to this day (expected completion year is 2026). 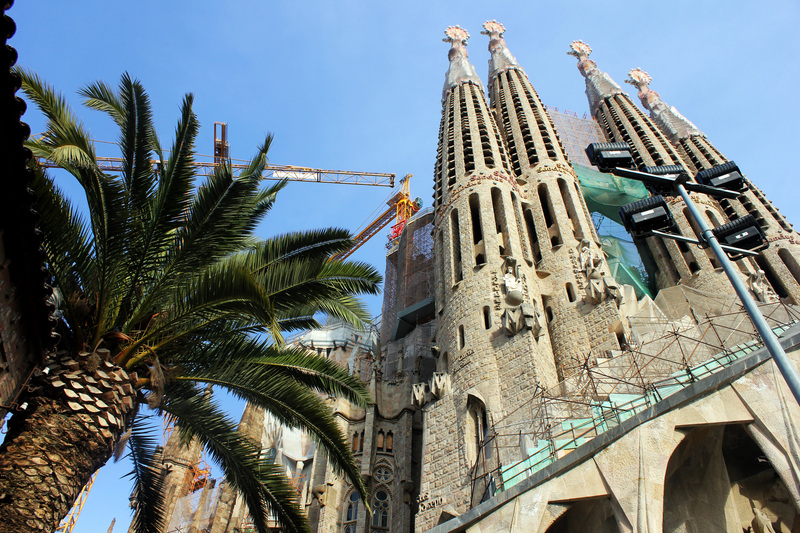 Complete or not, La Sagrada Familia is definitely still a sight to behold, and probably the must-see sight of Barcelona. Each facade of the building is as striking as the next, with immense care and detail put into every inch of the building. Visitors are welcome to explore the interior of the building as well, which is as marvelous as the exterior. 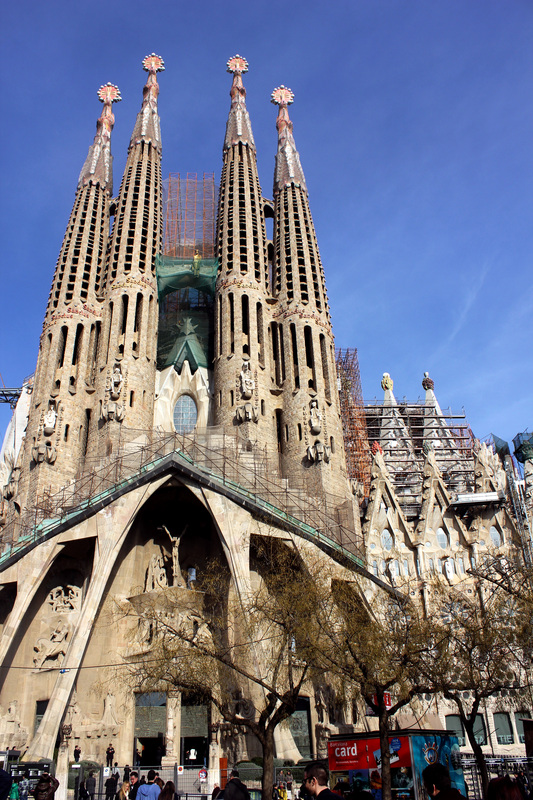 Simply put, La Sagrada Familia is guaranteed to leave you in awe. Of course, there’s plenty more examples of Gaudí’s finest works to be seen in the city, including Casa Batlló (pictured below). The building features a rather remarkable facade, and, like with many other Gaudí buildings, tours are given of the interior. Practically across the street from Casa Battló is another iconic Gaudí building: Casa Milà. 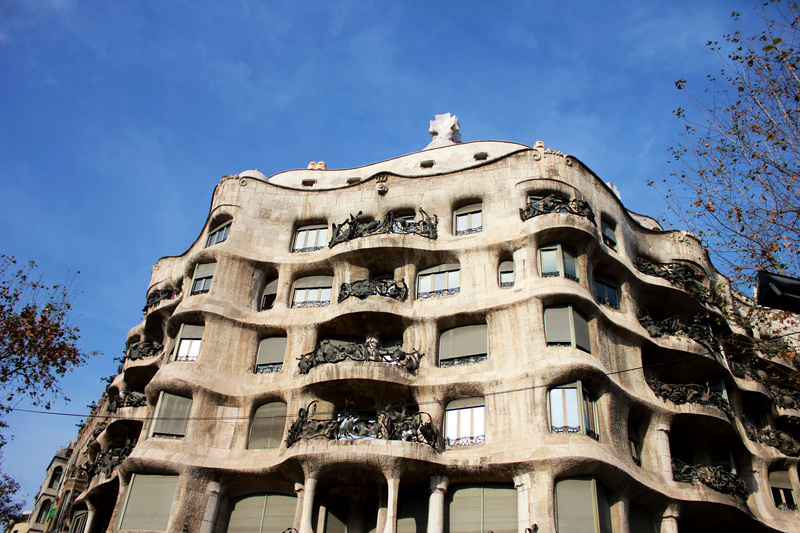 The building’s innovative design is a joy to look at, and it stands out with its wavy walls as one of the most unique Gaudí buildings and one of Barcelona’s most popular attractions. 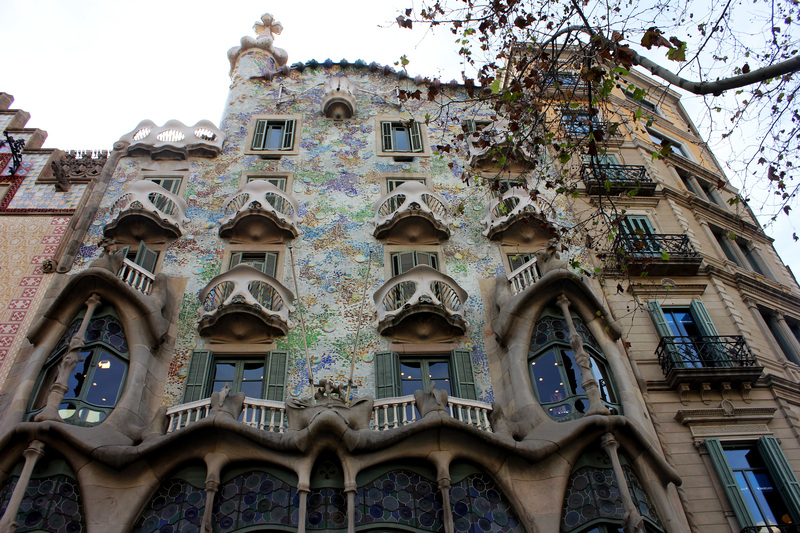 There are several other Gaudí buildings in Barcelona, and even more throughout Catalunya. Gaudí’s revolutionary work obviously stands out compared to other buildings, so they are almost instantly recognizable as his when seen on the street. 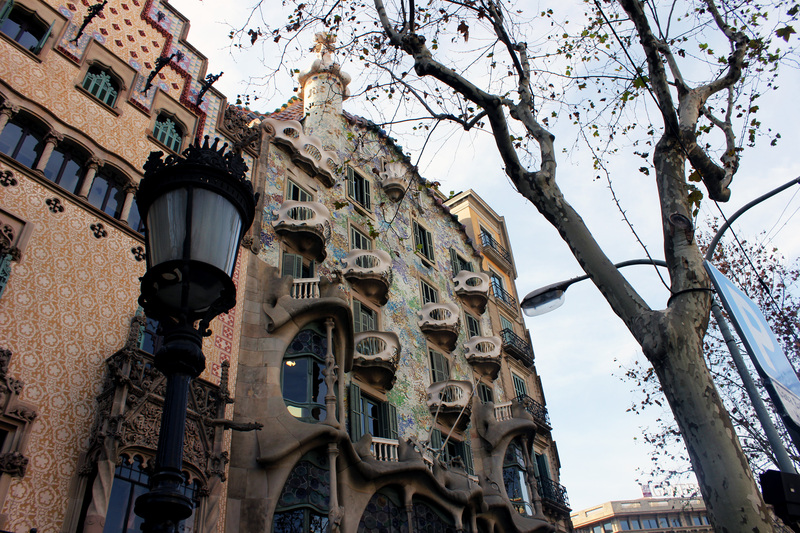 These buildings not only give Barcelona a ton of character, but they stand as a symbol of Catalan culture and identity. This entry was posted in Barcelona, Spain and tagged Antoni Gaudí, architecture, barcelona, Casa Batlló, Casa Milà, catalan, catalonia, catalunya, europe, gaudí, La Sagrada Familia, spain, travel by Babak Haghighi. Bookmark the permalink.